Islamic State jihadists are said to be turning a Syrian Orthodox church they seized in Mosul into a mosque as a military offensive continues to try free the region from the extremists. Rumors abound about the plans to convert the Church of St. Ephrem in Mosul into a mosque, due to pictures on social media websites and information from other sources, according to the Catholic Fides news agency. It said photos from social media showed that pews and other furnishings from the church had been removed, and placed on sale in front of the building, similar to a yard sale. Social media users said it was clear the intentions of the IS to turn the church into a mosque as the brutal group continues to drive away Christians in the area. Fides news agency sources cast the purported conversion of the church in a different light. They said it was apparent the IS is bracing for military action to liberate Mosul from its control. The raids on public and private buildings are a preparation for the group to shore up its resistance in the area should the liberation of Mosul materializes in the coming weeks, Fides reported. In July, the IS established the Islamic Caliphate in Mosul after securing control of the region. 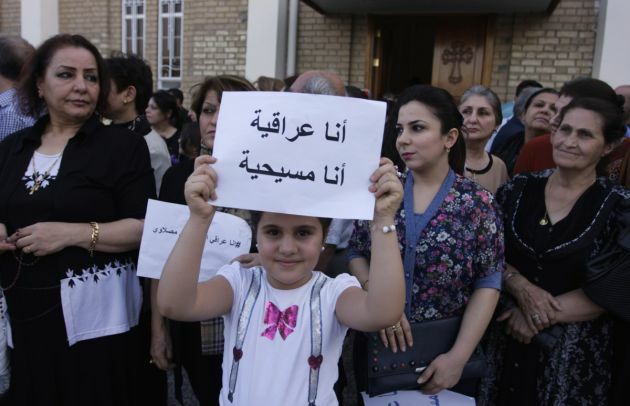 It began a systematic persecution of Christians and other minority groups in the area, forcing them to either convert to Islam or leave Mosul. The IS likewise desecrated places of worship of minorities in the region as it continued its "Islamification" of Mosul. Most Muslim groups have denounced IS as having nothing whatever to do with Islam. The Church of St. Ephrem had been picked to be the seat of the State Council of the mujaheedin and the church's cross has been removed. Air raids on the area destroyed other church property in the vicinity of St. Ephrem like the St. Paul Syrian Catholic Church.